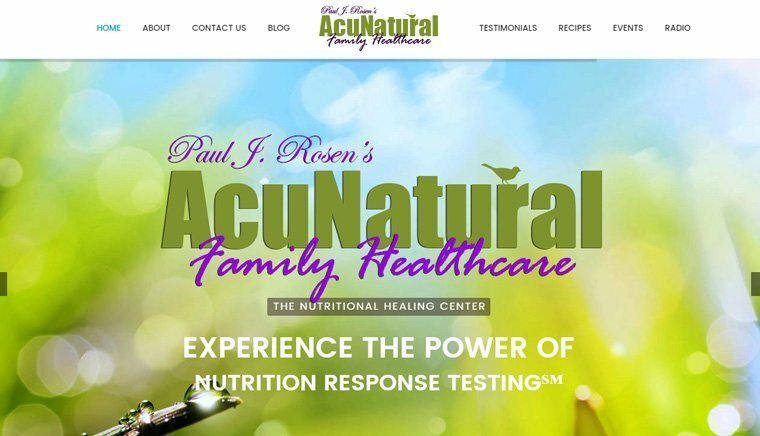 AcuNatural is a nutritional healing center that works with everyday people to help them change the way they look at food and medicine. The old website was outdated and had a poor user experience. Missing pages, links and images as well as making it difficult to organize the companies updates and food tips made the site frustrating for both the company and the online visitor. Fastech Solutions was hired to fix all of the issues and concerns that the old AcuNatural website had while also creating an eye-catching web design that had an easy to use CRM for the staff to use.